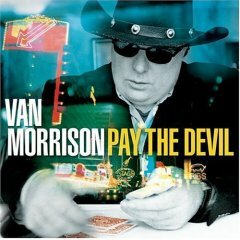 Much is being made of the Nashville-brewed slant that Van Morrison gave to his latest project Pay the Devil, but his new direction isn’t nearly as startling as it first appears to be. After all, there always has been a touch of country lurking beneath the surface of his distinctive blend of Celtic folk, jazz, and R&B — so much so that Robbie Robertson dubbed him the "Belfast Cowboy" a full 25 years ago. More recently, on his 1991 outing Hymns to the Silence, Morrison tackled Don Gibson’s I Can’t Stop Loving You, and in 2000, he and Linda Gail Lewis interpreted a trio of classic compositions by Hank Williams [Why Don’t You Love Me (Like You Used to Do)?, You Win Again, and Jambalaya (on the Bayou)]. Therefore, the issuance of such a twang-infused set isn’t necessarily a huge surprise. Pay the Devil is available from Barnes & Noble.